Our sensors just picked up an interesting Web site infection that’s primarily targeting Brazilian users. 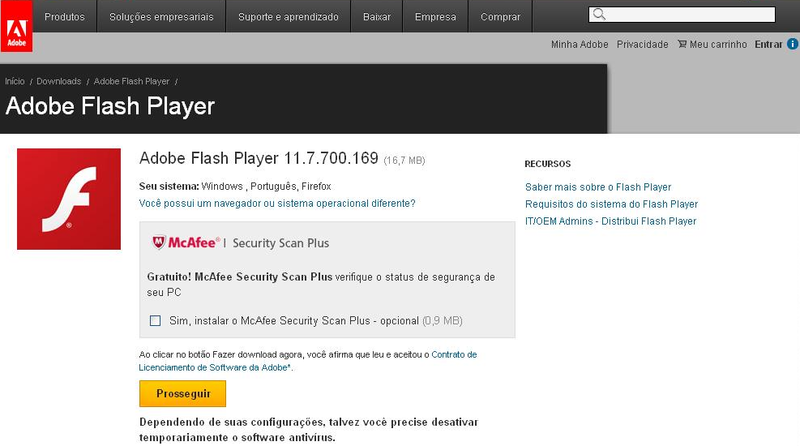 It appears that the Web site of the Brazilian Jaqueira prefecture has been compromised, and is exposing users to a localized (to Portuguese) Web page enticing them into installing a malicious version of Adobe’s Flash player. Not surprisingly, we’ve also managed to identify approximately 63 more Brazilian Web sites that are victims to the same infection.